Imagine a world filled with free moving boxes – amazing right? Well, little known fact, we live in one. You just have to know where to look! To make your move a little easier, we’ve come up with a list of the top 20 places to find free boxes. During the moving process, everyone seems to be competing for your checkbook. Knowing where to get free supplies means cutting out a significant chunk of your moving expenses. From the local grocery store to your place of work, you’d be surprised at how many places in your community are home to free moving boxes. 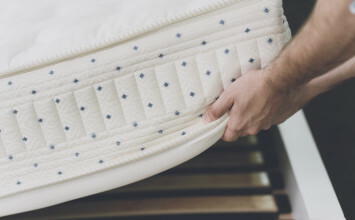 With these tips, you’ll be able to find all the free moving boxes you need for your move. Watch our video below to see our favorite places to snag free moving boxes. Need additional suggestions? Scroll below for additional hot spots for free moving boxes! This should be one of the first stops on your journey. Send out a quick post to your social media pages, and you’ll grab the attention of friends who are looking to get rid of leftover moving boxes (and even packing tape!). Whether it’s your niece who’s just moved into her first place or the local grocer who has more delivery boxes than he knows what to do with. Office buildings handle tons of deliveries each day, which means tons of leftover boxes. Check around the office next time you head into work – you may be surprised at how much you find! If not, get in touch with co-workers that handle supply orders and see if they can reserve a box or two for you after the next shipment. Nothing says productive like being super prepared when that moving truck rolls up to your home on moving day! Scoping out Craigslist is a must. The first place to look is the “For Sale” section, where you may find a few listings for free moving boxes. If you don’t see any there, try posting under the “Wanted” section as a backup. There are plenty of folks who use Craigslist to help facilitate their post-move purge and cardboard boxes are no exception. When money’s tight, bartering is always an option. Websites are a great platform for exchanging gently used items. Post a quick message on their forum (think: “Offering up my unused plate set for free moving supplies!”). The message here: Don’t underestimate how people will be incentivized by free things. If your neighbors are holding a yard sale, they’re trying to get rid of excess stuff, and there’s a good chance moving boxes are included in that mix. For best results, make sure to call in advance so you don’t catch your neighbors by surprise (or while they’re bartering with customers that are actually paying for their stuff). Every semester, the savvy student opts to purchase textbooks online rather than get ripped off by the university bookstore. The result? University mailrooms get swamped with boxes that would be perfect to use for your move. If you live near a university or college, make sure to stop by the mailroom and see what they are willing to part with. Better yet, if your move date coincides with students moving in or moving out, you’ll definitely be more likely to find what you need. Most universities have designated spaces to drop off leftover boxes, so be sure to ask campus officials or even e-mail the university’s green team to inquire. Most campuses will oblige as they’ll be charged less in recycling pick-up fees. Thanks to high turnover, apartment complexes are a great place to search. Head down to a local complex or even the one you live in and ask to speak with the manager. The manager will be able to direct you to their package center or recycling room a.k.a. free moving box wonderland. Gather all you can carry! You may be hard-pressed to find cardboard moving boxes here, but your local orchard is a great place to find wooden crates for moving fragile items that need a bit more support. Crates are super durable, and you can even repurpose them as a rustic piece of furniture after the move. Sometimes, the question isn’t where to get free boxes for your move but where to get free moving crates. To save big you need to get creative and think outside the box. Pun intended. 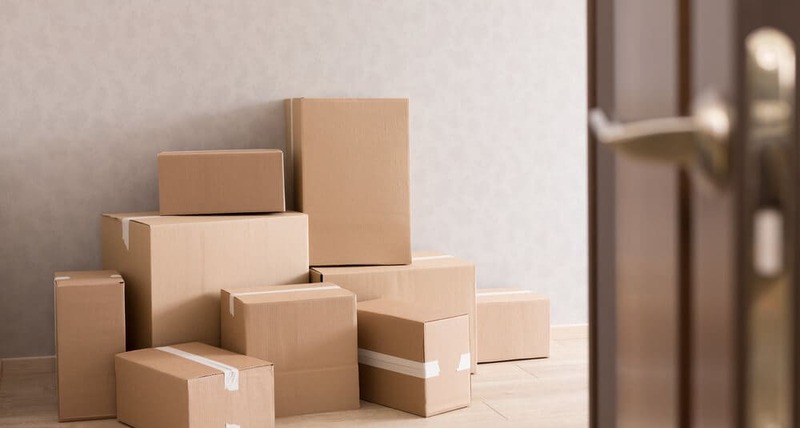 If you’re wondering when the best time to get free moving supplies is such as boxes, tape, and bubble wrap, look no further than the holidays. The holidays bring lots of good cheer, but they also bring lots of delivery boxes. If your move-in date coincides with the holidays, it’s smart to send a quick note to friends and family before the holiday madness. Something like “I’m moving next month - any chance you could set aside a few delivery boxes for me? Would love to use them for my upcoming move!” will do the trick. Not only is the grocery store home to all of your beloved snacks and cereals, but it’s also home to tons of boxes and crates. Head straight to the fruit and vegetable department to find a free moving box haven. Apple and banana boxes are perfect for moving as they can support a lot of weight. Your local grocery store will also have a lot on hand since they receive shipments nearly every day. Join your community’s Freecycle group to see if anyone’s in the market to send a few spare boxes your way. It’s completely free to join the group, and it’s a great way to connect with other members of your community. Even if you don’t find free moving boxes, it’s still a useful resource to know about as you begin to declutter your home before your move. Head on over to your local liquor store to grab some of the most durable boxes available. The best part about liquor boxes is that they typically come with a lid and handles which makes them perfect for protecting your valuables. Not only will collecting liquor boxes save you some money but they will also make for a smooth move. Grab your free moving boxes and treat yourself to a bottle of wine for all of your hard work while you’re at it! Large moving boxes can be few and far between if you don’t know where to look. If you’re struggling to find what you need, an auto supply store should be your go-to. Auto supply stores are sure to have plenty of larger boxes. Check out one of these stores, they’ll usually be happy for you to take their overflow of boxes off your hands. Everyone knows someone who has just moved. Ask around amongst co-workers, neighbors, family, and friends to find additional moving supplies that you can put to good use. If you do happen to strike gold, make sure you write them a thank you note and pick up these moving boxes yourself. They’re saving you a ton of time and money so it’s important to let them know they’re appreciated. At places like Costco, Sam’s Club, and Walmart, virtually everything comes in a box — and large ones at that. You shouldn’t have too much trouble finding free moving boxes here, as the shipments that come through these warehouses are massive. Also, many stores will reuse delivery boxes to pack your items at checkout, so save your boxes next time you take a trip to one of these supply chain stores and you can build up a pretty decent inventory. Your local elementary school is also a great source for free moving boxes. Think about all of the classroom supplies, books, gym equipment, desks, and cubbies that have to be delivered before the school year begins. It may be worth it to reach out to the maintenance or administrative staff to see if taking some boxes off their hands is an option. Most recycling centers require that patrons break down their cardboard boxes. However, if you call in advance, you may be able to salvage a few. You may need to re-tape or re-fold the boxes back up to get them ready for your move, but it never hurts if it means saving a few dollars. Check out where to find a recycling center near you. Other retailers like office supply stores, bookstores, hardware stores, and restaurants are also great places to check out. 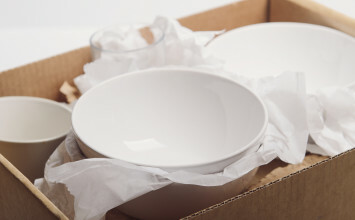 They have a constant stream of cardboard boxes flowing in and out, and they’ll be durable enough to hold the contents of your kitchen cabinets. Remember, there is no need to spend additional money on moving boxes during your move when you can find them for free! Free moving boxes are a dime a dozen if you know where to look. 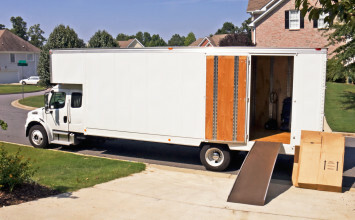 Out of everything on your moving checklist, make moving boxes the least of your expenses. Happy hunting!